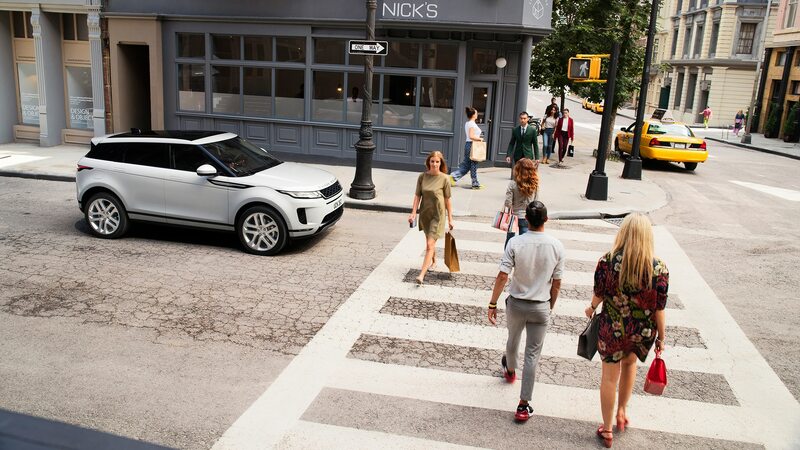 London’s Shoreditch area is well known for its population of well-to-do and uniquely stylish Millennials—which is the nicest possible way to say hipsters—making it an appropriate location to reveal the 2020 Range Rover Evoque. 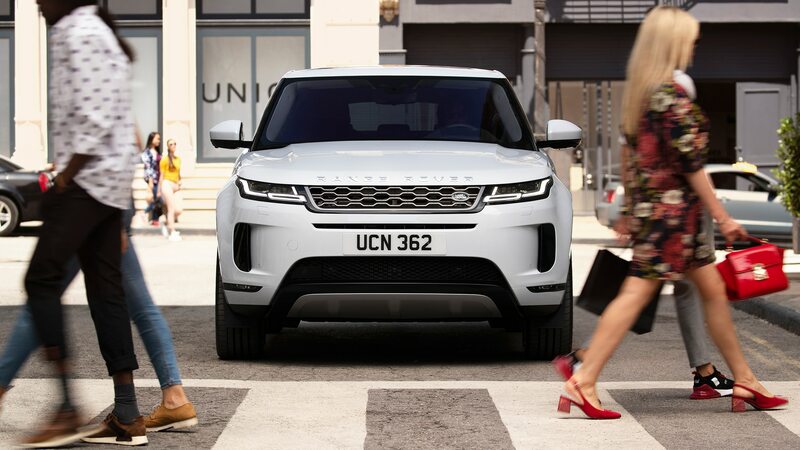 Indeed, the Evoque is aimed squarely at these types of folks, with Land Rover chief design officer Gerry McGovern talking at length during the celebrity-studded event about courting people who don’t need such a model but want one anyway. 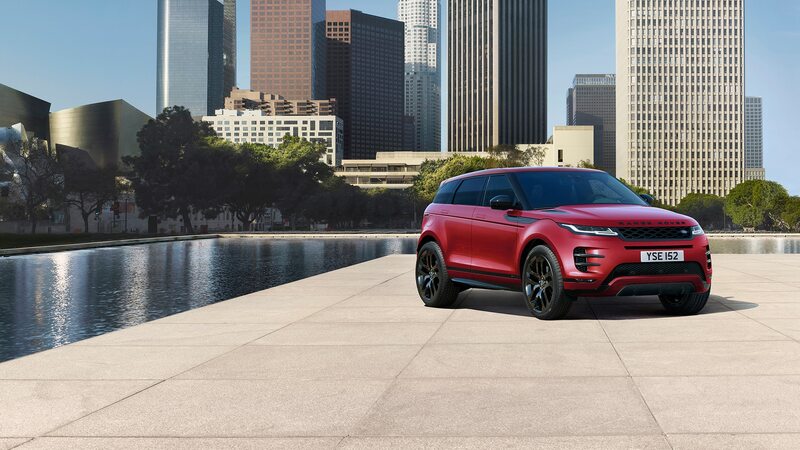 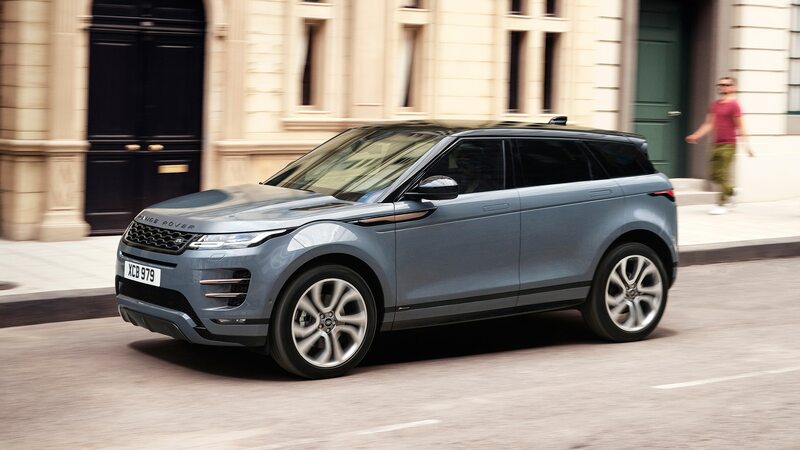 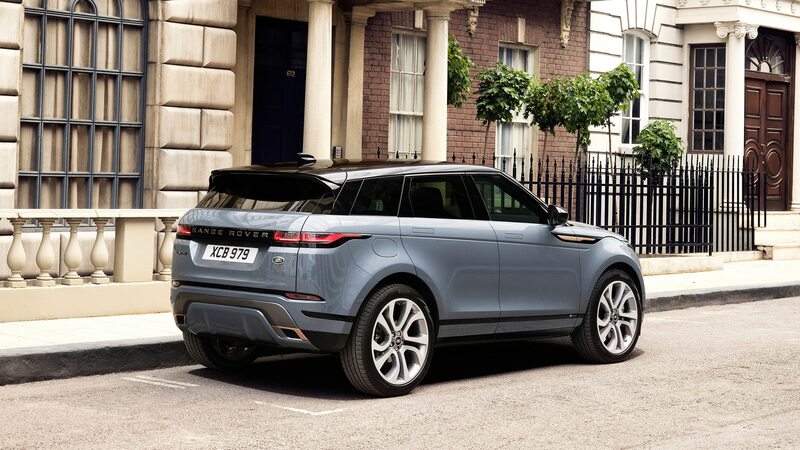 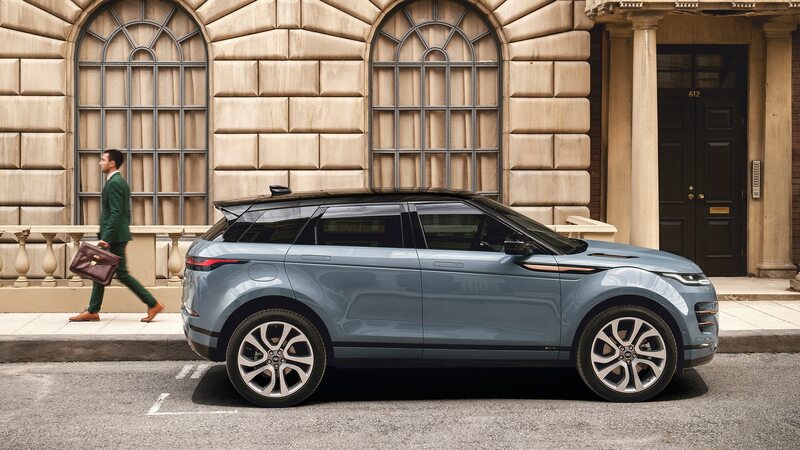 The first thing you’re likely to notice about the 2020 Evoque is that it looks familiar but simplified. 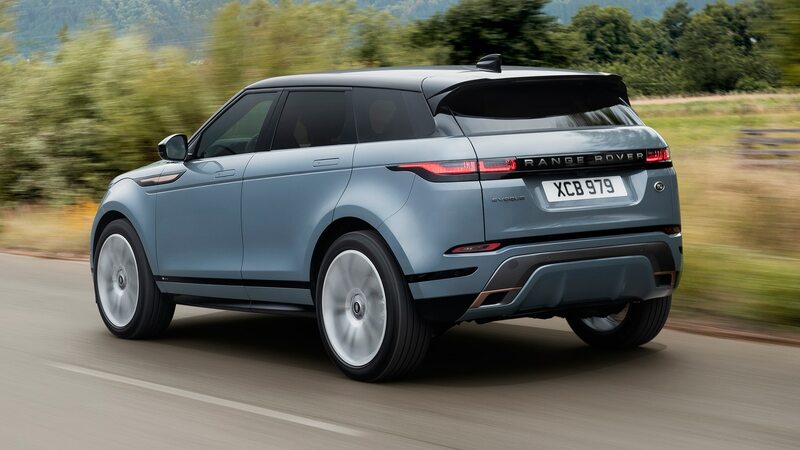 The previous model’s bodyside creases and lines have been smoothed out, and the rear end reshaped to place it more in line visually with the stylish Velar. 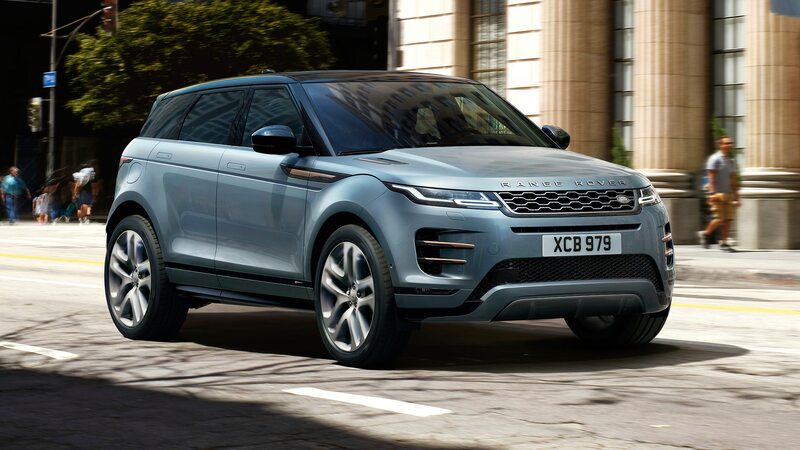 The reductionist aesthetic language gives the new Evoque a more sophisticated profile, a vibe accentuated by the slim LED lighting. 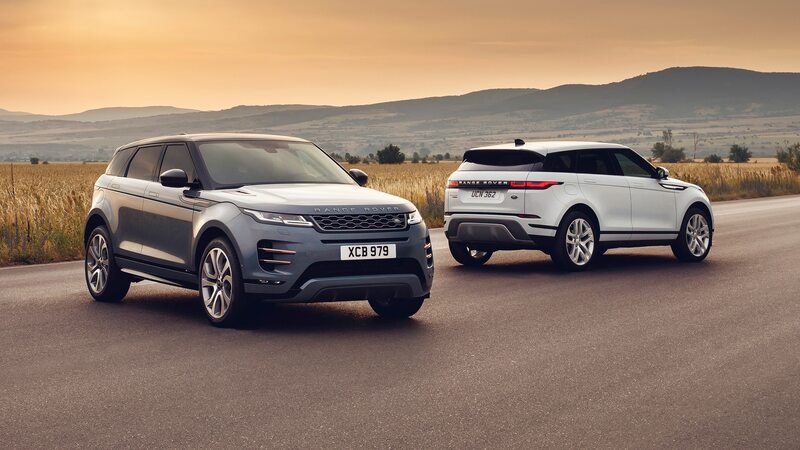 In terms of size, the Evoque is basically as long, tall, and wide as it was before. 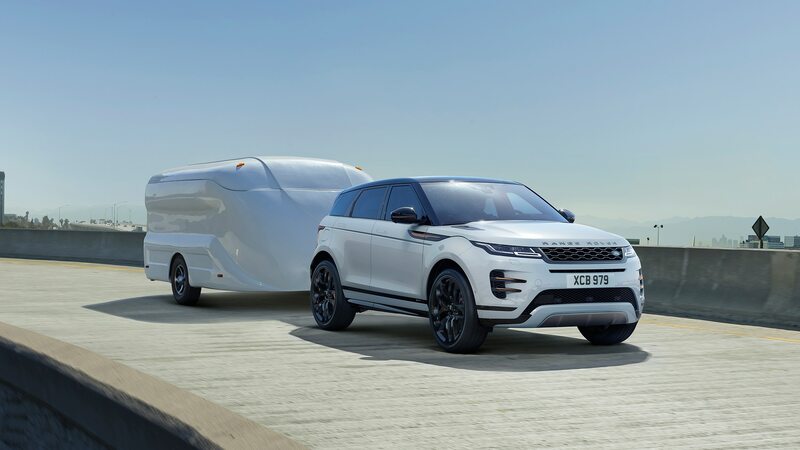 “Customers love the compact proportions, so we have kept the overall dimensions very similar to the original, but we have lengthened the wheelbase to make the Evoque more practical,” said Land Rover exterior design director Massimo Frascella. 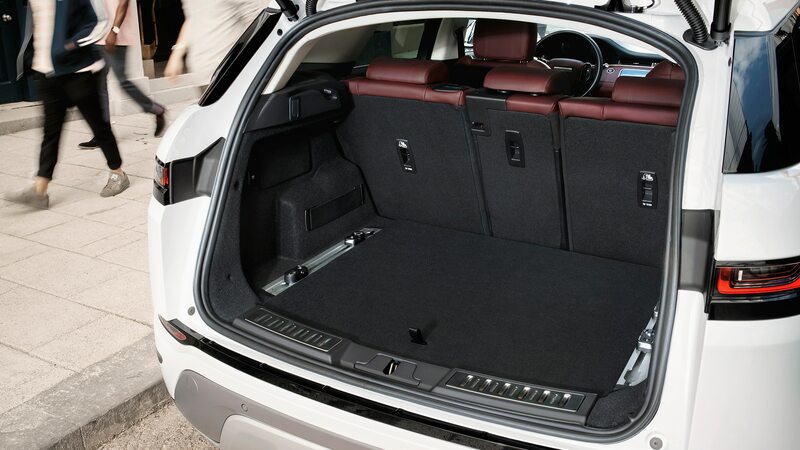 To be precise, the wheelbase is up by 0.8 inch, an amount said to have been given entirely to additional rear kneeroom. 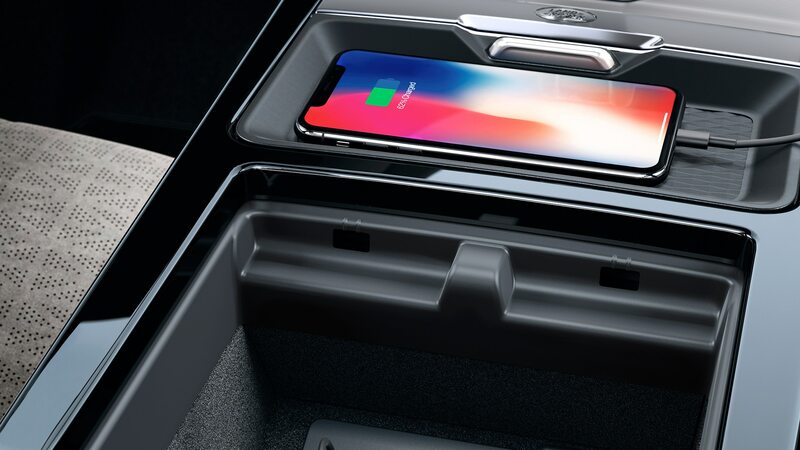 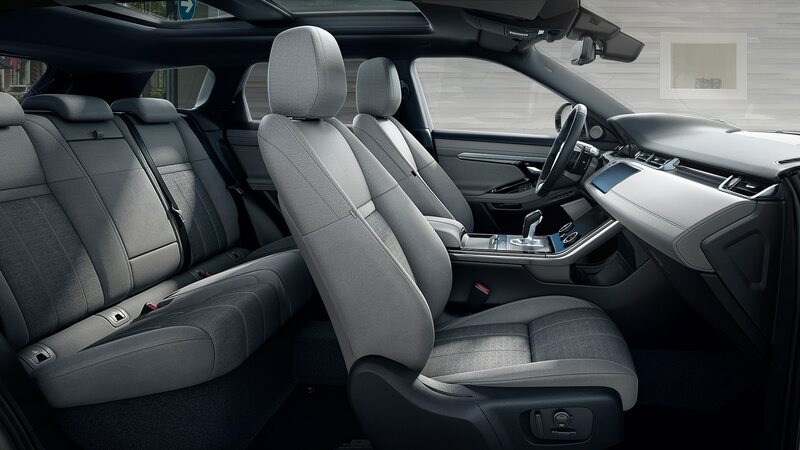 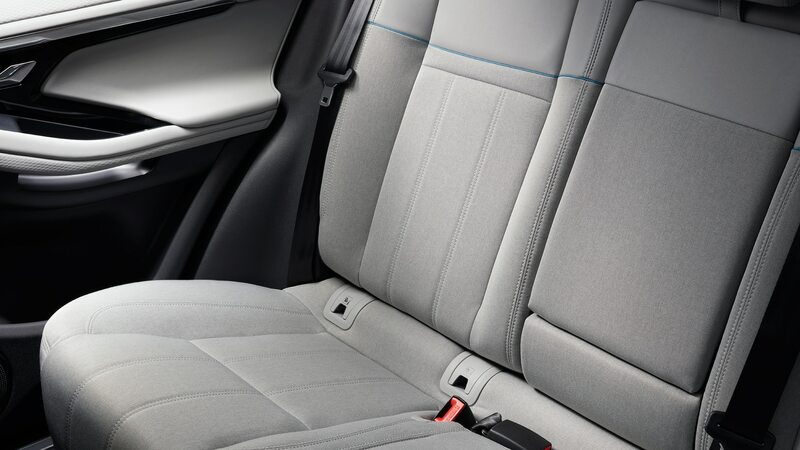 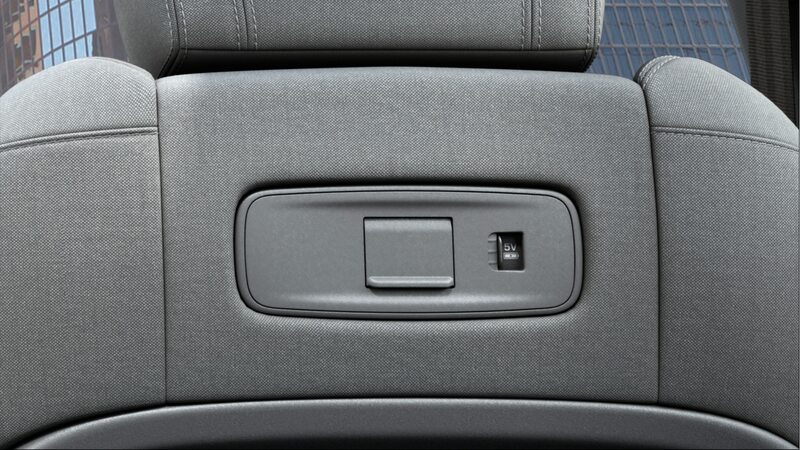 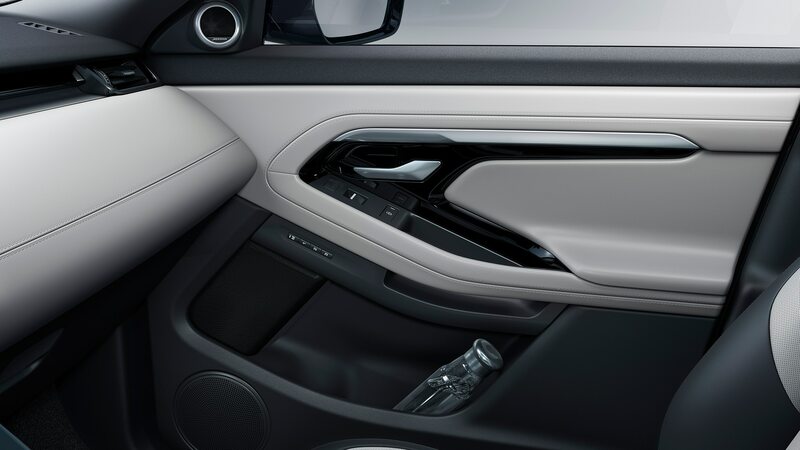 There are also slightly larger interior storage compartments and cargo space behind the second row has also increased a bit, to 22 cubic feet. 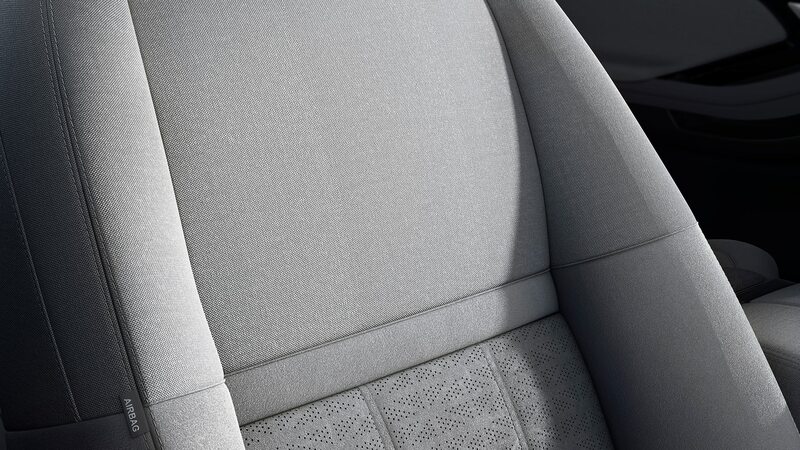 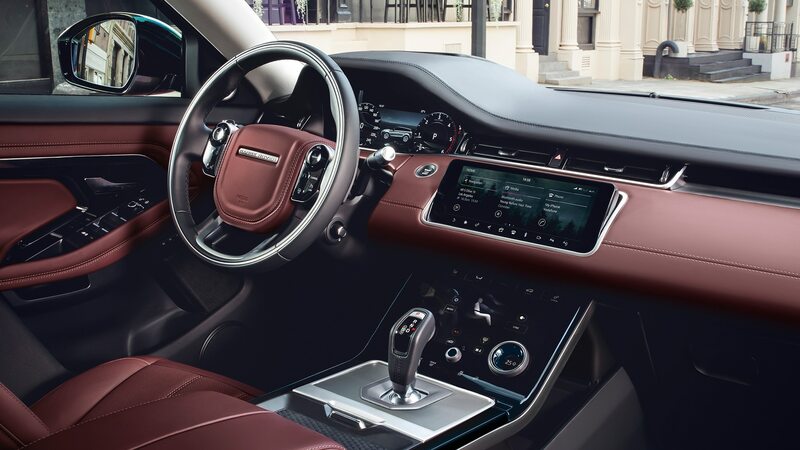 As one might expect, the interior features a mix of high-quality materials that includes supple leathers, surfaces made from recycled plastics, and sustainable fabrics such as Kvadrat wool and Eucalyptus cloth. 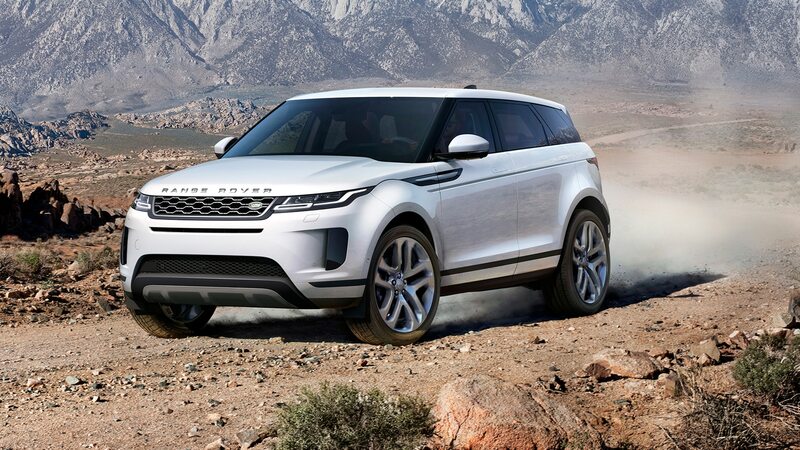 Motivation comes from a 2.0-liter turbocharged four-cylinder powertrain in two strengths. 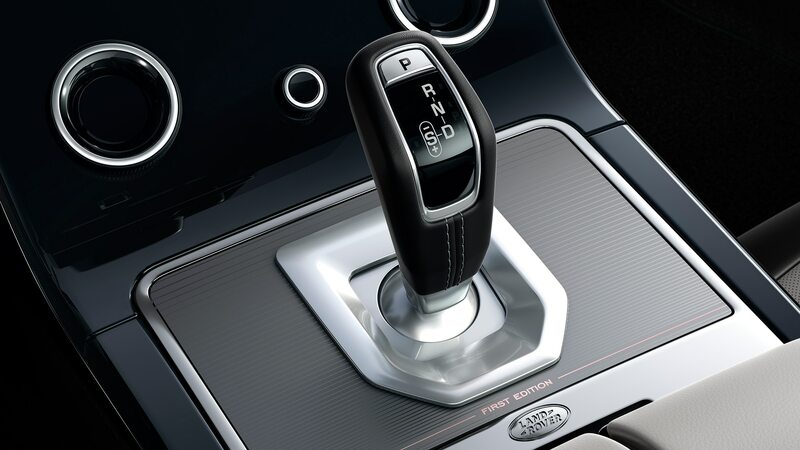 The entry option produces a reasonable 246 horsepower at 5,500 rpm and 269 lb-ft of torque from 1,300 rpm. 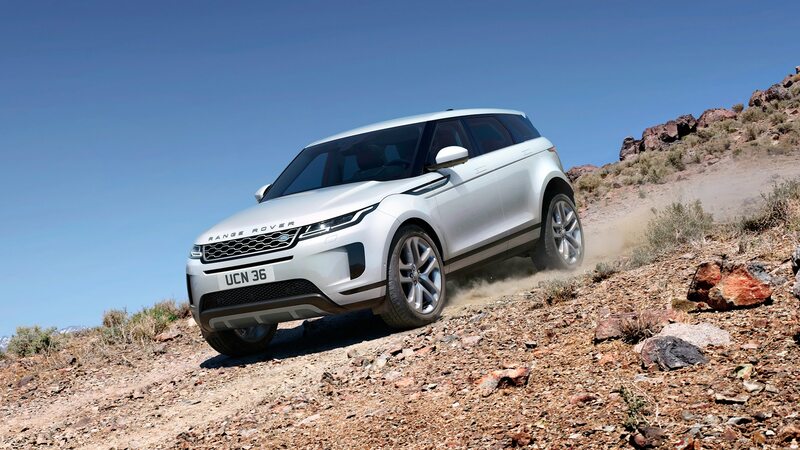 It works through a nine-speed automatic transmission and features an all-wheel-drive system that can disconnect the rear wheels when cruising to improve fuel mileage. 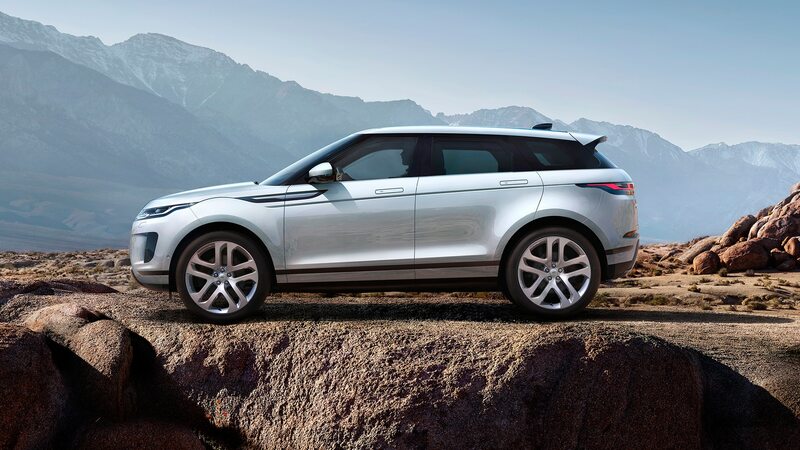 The upgrade option has 296 horsepower and 295 lb-ft, as well as an electric motor and 48-volt electrical system. 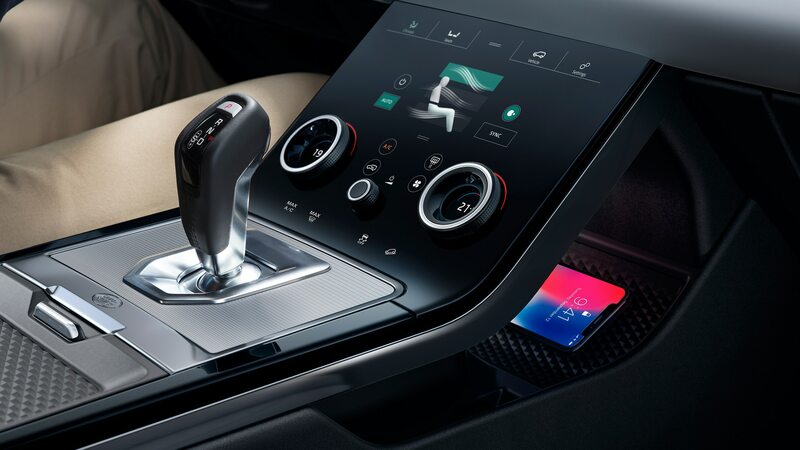 These hybrid components can’t propel the car on their own, rather recuperate some energy during deceleration to increase overall efficiency; the recaptured power is stored in an underfloor battery pack and is used to assist acceleration at speeds below 11 mph, helping mitigate any turbo lag that may exist. 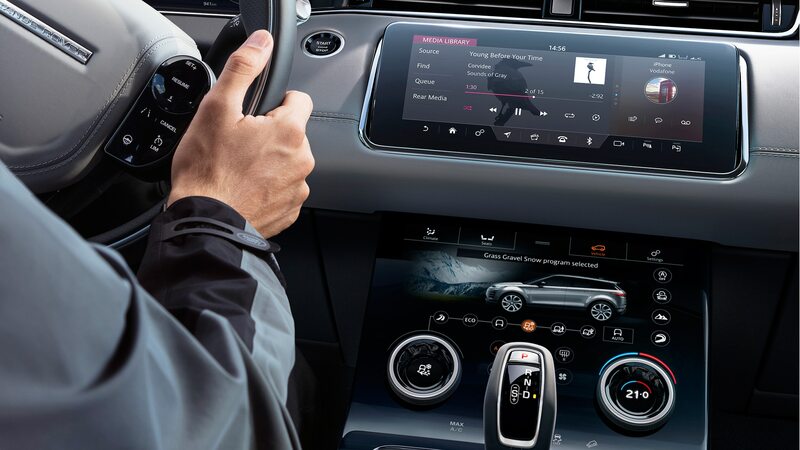 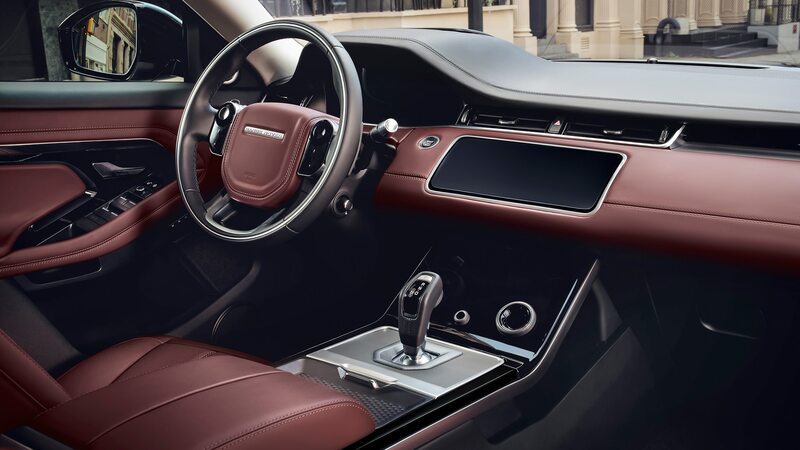 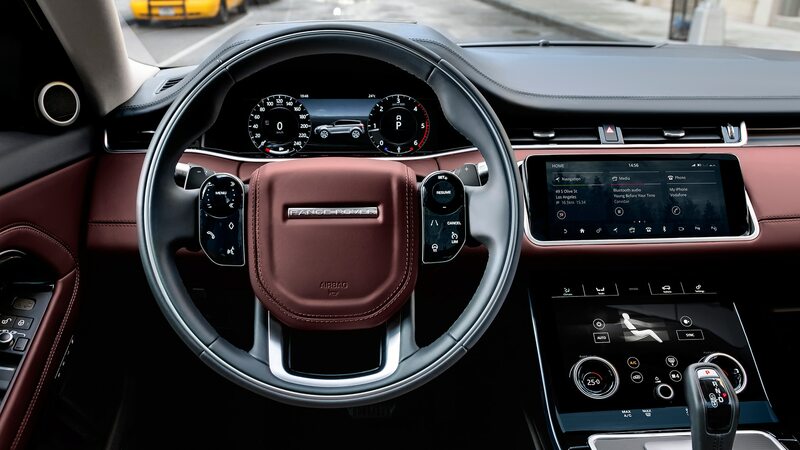 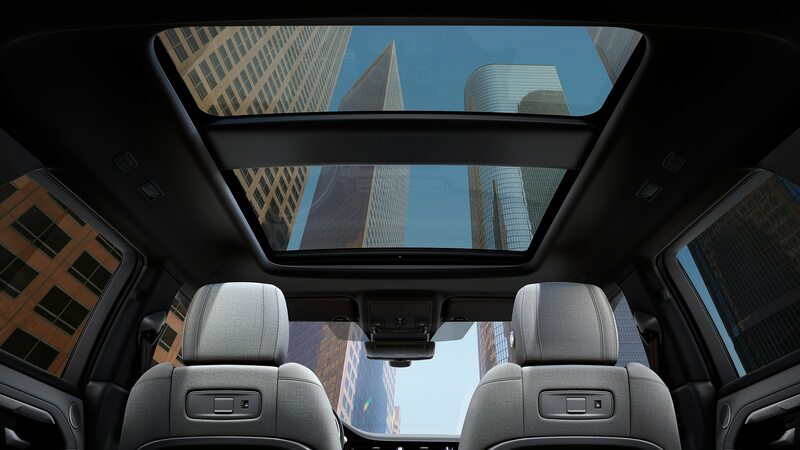 The Evoque incorporates a technology dubbed “ClearSight Ground View” that allows you to effectively see through the hood via a multi-camera video feed when maneuvering over hilly terrain or even negotiating tight parking scenarios. 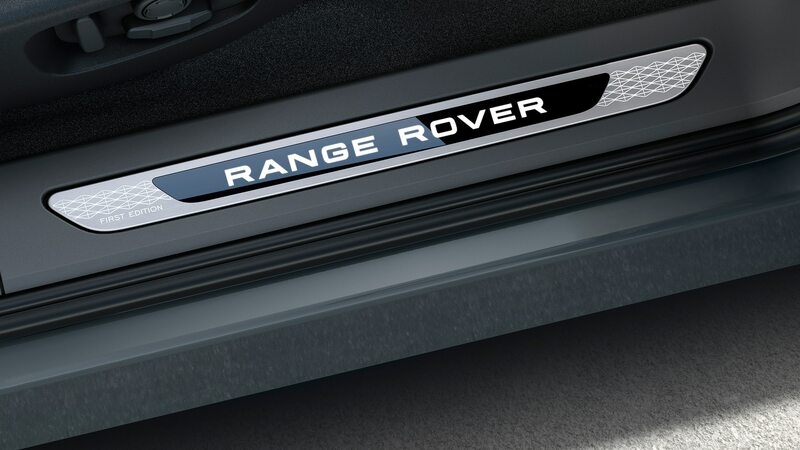 A conceptual version of the tech was first introduced in 2014, finally now making its way to a production Landy. 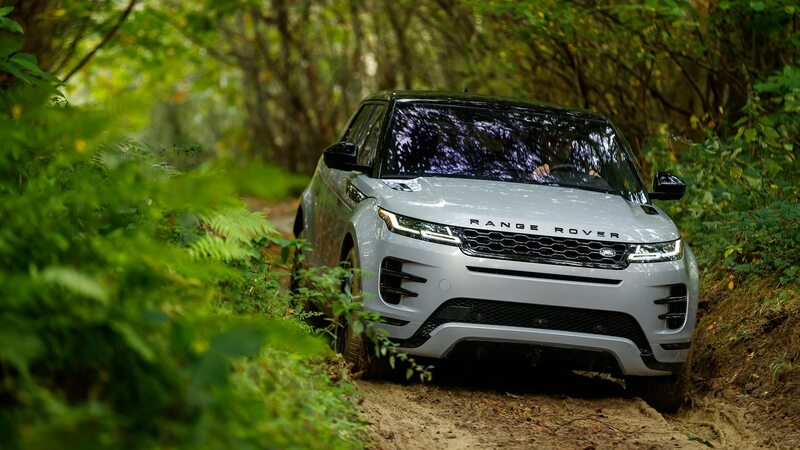 The body shell is said to be 13 percent stiffer, helping NVH and dynamic responses on- and off-road. 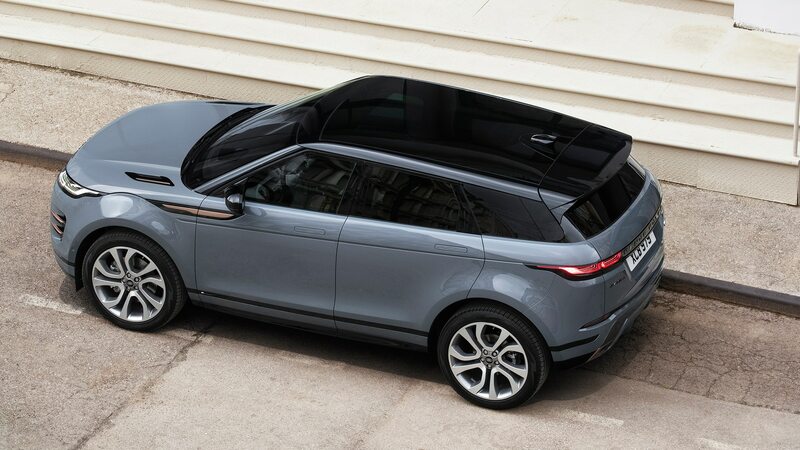 A few rearranged underhood components mean the new Evoque can now manage to ford water up to 24 inches deep. 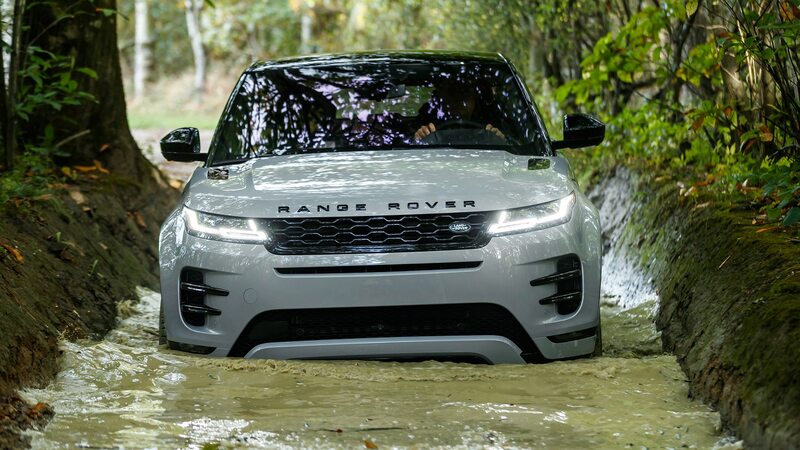 Alongside the familiar Terrain Response chassis modes to tackle surfaces such as mud, snow, and rocks, the suspension still uses struts up front and multiple links out back but has been retuned and incorporates fluid-filled bushings in the front to iron out high-speed wobbles and vibrations. 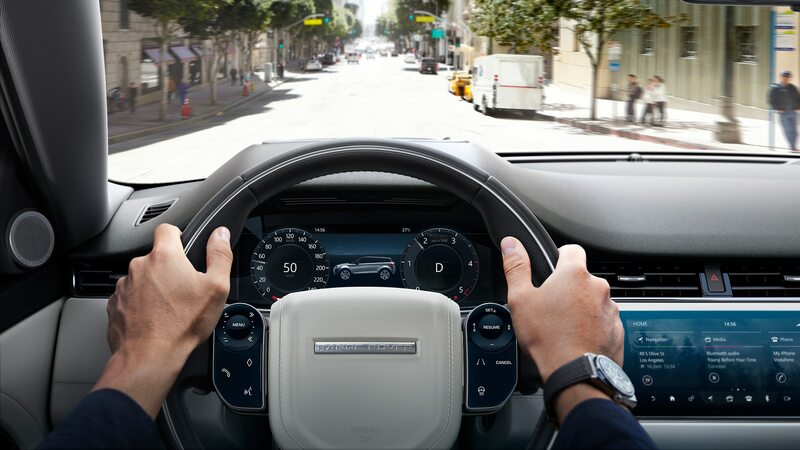 Unusually, this particular reveal event incorporated a driving component. 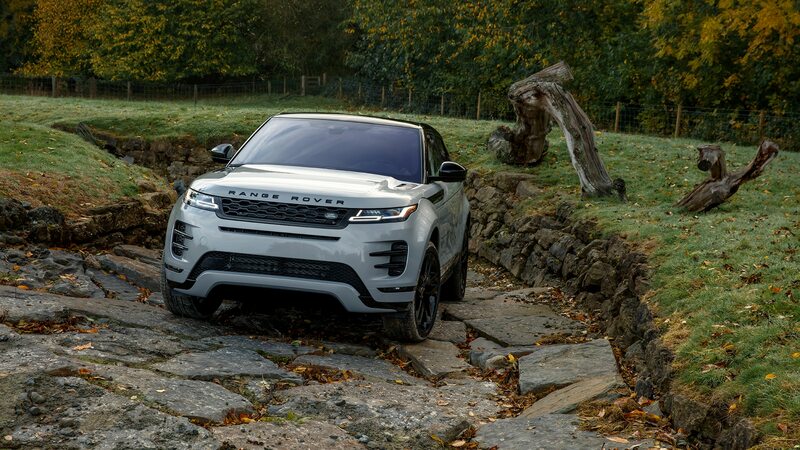 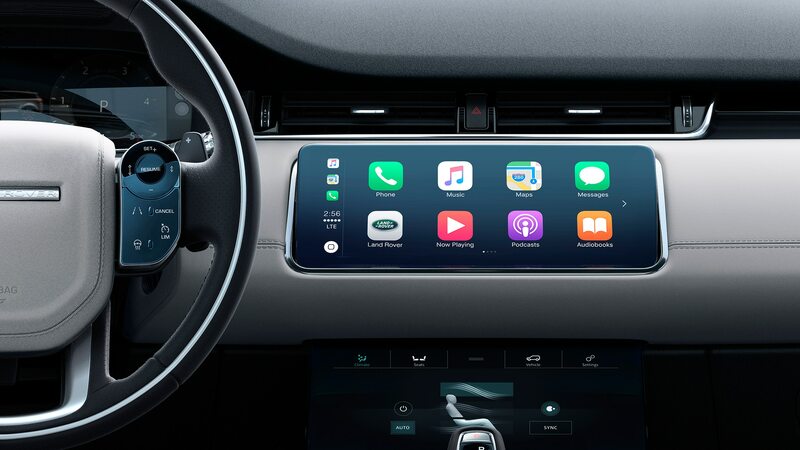 It took place underground in a defunct goods depot where a series of metal ramps positioned in several brick archways were designed to provide a taste of the new Evoque’s capabilities and showcase some of the car’s clever new tech. 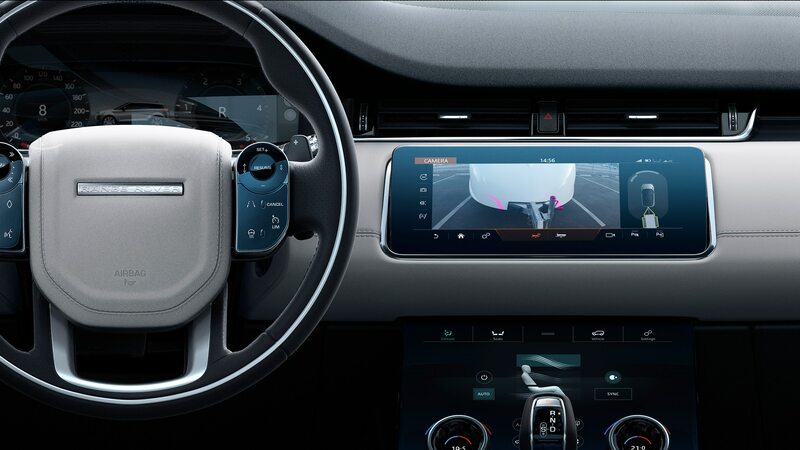 For example, I balanced the vehicle on a narrow set of rails with the assistance of ClearSight Ground View, which stitches feeds from three cameras located in the side mirrors and grille to make the front of the car “vanish” and deliver a high-resolution look at what is happening under and around you. 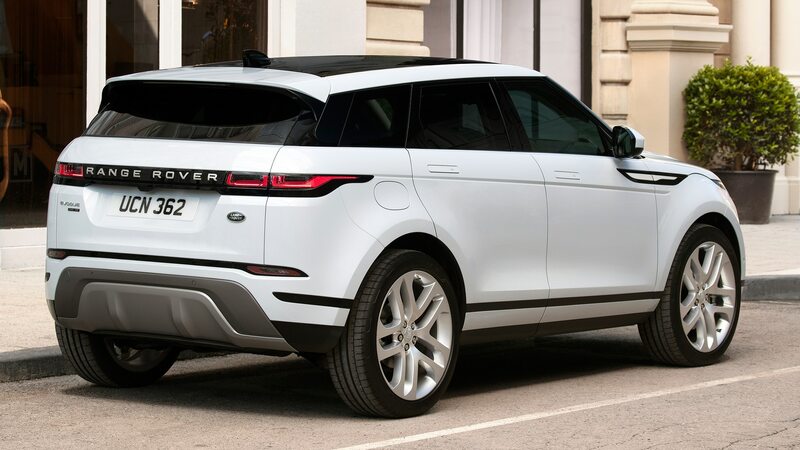 I was able to keep the wheels perfectly centered on the rails, and later on see under the car when climbing an aggressively vertical ramp. 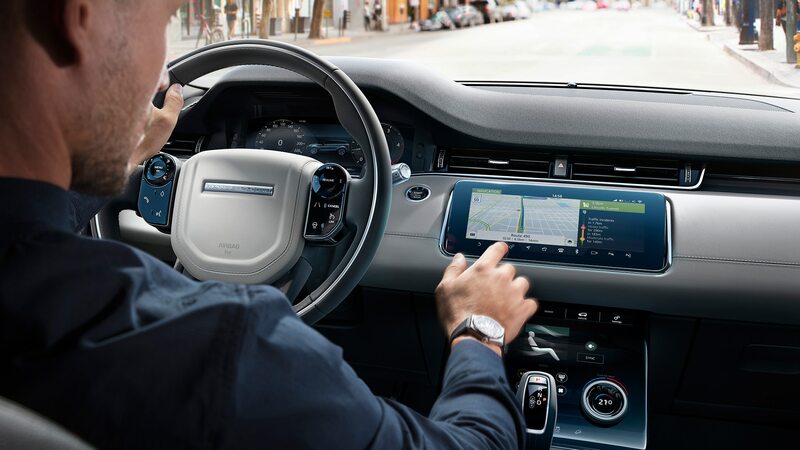 ClearSight’s rear-facing camera sends a feed to the rearview mirror that offers a wider view without the window, D-pillars, and other stuff in the way. 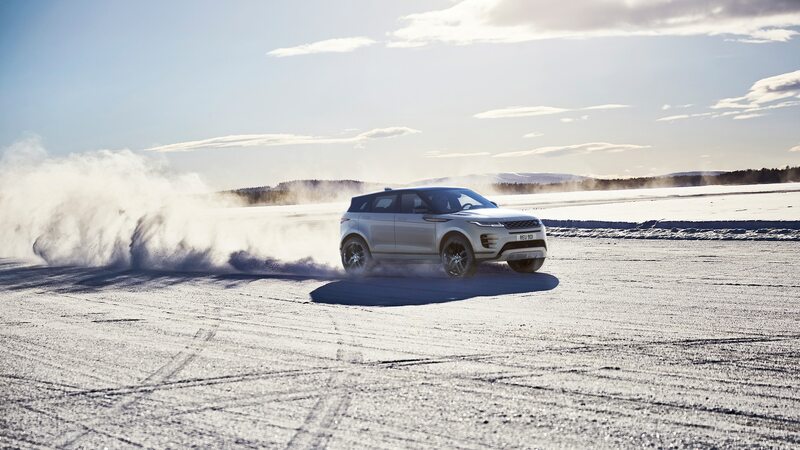 We used it to line up the vehicle on a ramp that led to a swimming pool. 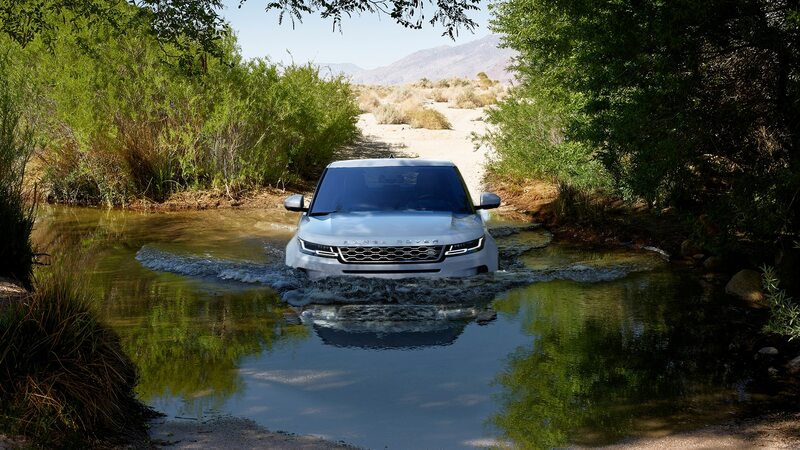 While wading through water, the car’s ultrasonic sensors detect the depth, with the info being used to create a real-time image of how deep you are on the infotainment screen. 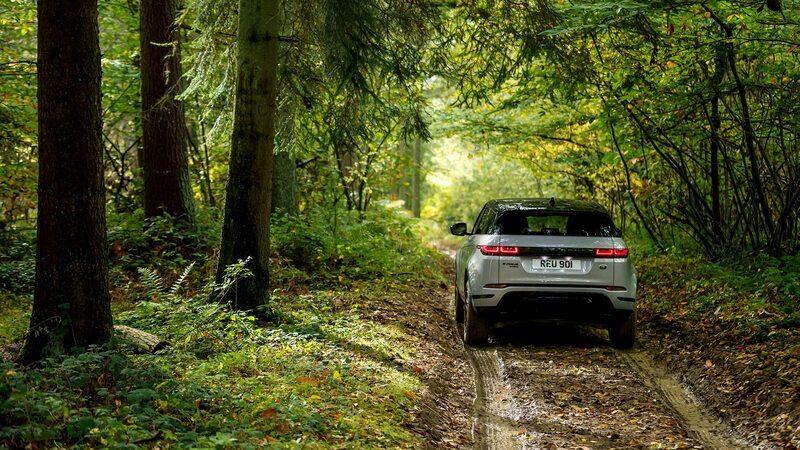 Detailed driving impressions and a real verdict on the Evoque’s on- and off-road polish will have to wait until later. 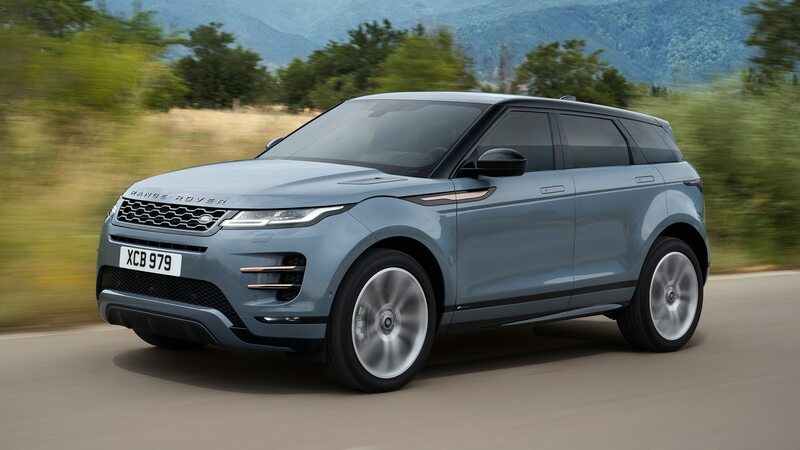 But it’s already clear the new Evoque offers useful upgrades that should not only solidify its standing among Jaguar Land Rover’s compact luxury SUVs, but also make it an even stronger contender against the likes of BMW, Audi, and Mercedes. 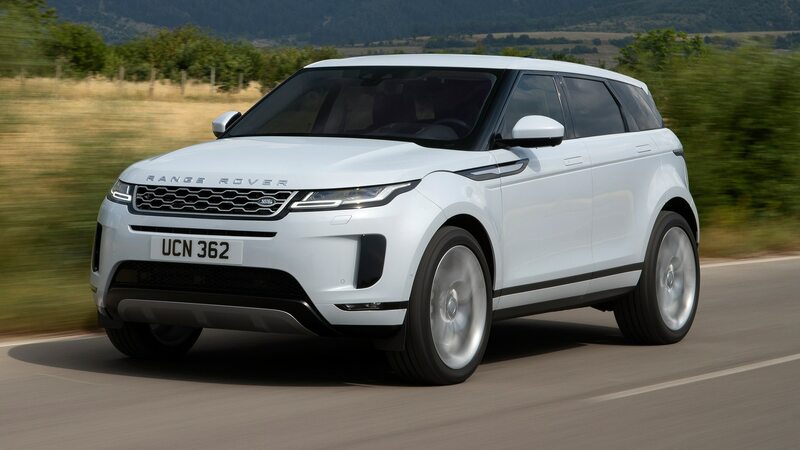 We’ll find out whether moneyed hipsters agree once it goes on sale next year.